Each pool has it’s own unique characteristics and challenges. Each pool is impacted by a wide variety of factors including: pool size, depth, surrounding trees and foliage, age and functionality of equipment, surface texture, water levels, number and frequency of swimmers, pets, environment and other factors. Therefore, it is impossible to come up with a “one price fits all” approach to pool cleaning service pricing. Any pool service contractor that quotes a specific price without visiting and evaluating your pool is just setting you and them up for problems in the future. However, we believe in complete transparency when dealing with our customers and most customers want to have some idea about pricing before they seriously consider a pool service contractor. As a result, we provide the following Pool Cleaning Service Pricing Guidelines for this purpose. Note: these are only guidelines and your actual monthly cost may vary based on your unique pool characteristics. The following guidelines are used to evaluate your pool and determine a fair pricing strategy based on your pool’s unique characteristics. NOTE: your pool may have characteristics from each of these levels. As a result, your specific price may fall somewhere in between these levels. Note: Chemical testing, analysis and treatment is priced separately (see below). As we noted above, each pool has it’s own unique characteristics and challenges. Each pool is impacted by a wide variety of factors including: pool size, depth, surrounding trees and foliage, age and functionality of equipment, surface texture, water levels, number and frequency of swimmers, pets, environment and other factors. 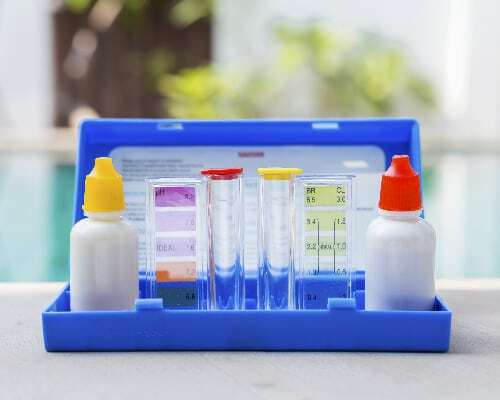 All of these factors have a significant impact on the type, amount and mixture of chemicals needed to keep a pool’s chemistry balanced and the water crystal clear. Therefore, it is impossible to come up with a “one price fits all” approach to chemical treatments. 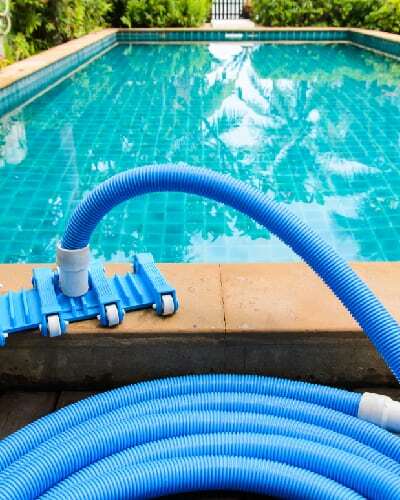 Most pool service contractors just include chemicals as part of their cleaning service. However, we believe in complete transparency when dealing with our customers and customers should know how much of each chemical is being added to their pool. Furthermore, customers should understand that the actual cost of chemicals is effected by many factors (some of which are under the customer’s control). As a result, we provide the following Pool Chemicals Pricing Guideline for this purpose. Note: these are only guidelines and your actual monthly cost may vary based on your unique pool characteristics. Note: Our monthly Pool Chemicals Service does not include draining, filling and associated chemical startup of pools. If needed, these services are prices separately. Most pools needs to have their filters cleaned at least every six months (in some cases more often). Filter cleaning can be a very time-consuming process and requires special skills to make sure filters are cleaned properly and containers are sealed properly. 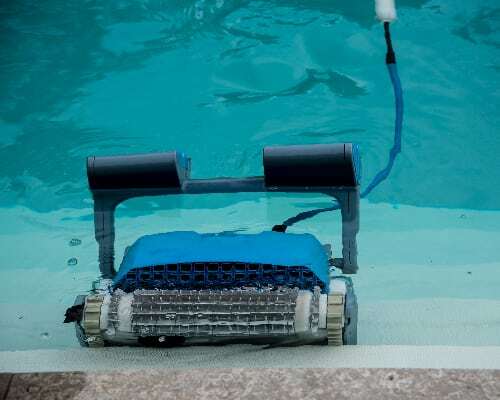 As a result, we use our expert pool technicians for all filter cleans and price these services separately. Note: Filter cleaning services may be invoiced separately or added to your monthly cleaning service invoice. When we start cleaning a pool for the first time we find customers in a wide variety of situations. Sometimes it is a fairly smooth transition from the previous pool service contractor. However, more often than not we find customers in a difficult situation where their pool needs a significant amount of help just to get it back to a normal operating condition. Since the types of services needed in this situation are different than what is normally required on a weekly or monthly basis, we created our Pool KickStart Service just for this purpose. For a nominal one-time fee, we can get your pool “back on track” and ready to maintain on a weekly basis. It is impossible to come up with a “one price fits all” approach to to this situation. As a result, we provide the following Pool KickStart – Pricing Guideline for this purpose. Note: these are only guidelines and your actual monthly cost may vary based on your unique pool characteristics. Note: Our Pool KickStart Services do not include draining, filling and associated chemical startup of pools. If needed, these services are prices separately.